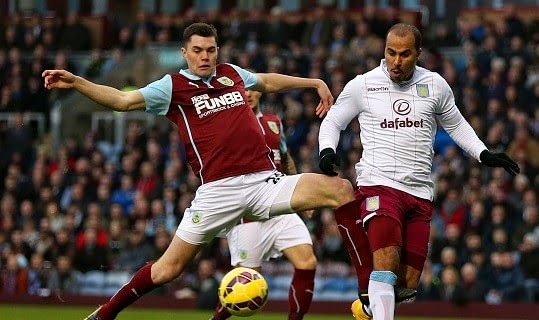 Goal.com reports that Manchester United Boss Louis Van Gaal is closing on an agreement with Burnley to make Michael Keane;s move permanent. The deal is almost finalized and only few personal terms are left to be discussed before the 21-year-old end his career with Manchester United. Burnley boss Sean Dyche is very impressed with Keane’s skills. He is very happy to see his youngster in such good form and has no hesitation in getting Keane for long term. On the other hand, Keane would like to wait before taking a decision and before committing a long term future with the club as Burnley who are fighting to survive in the Premier League. Reports say that Burnley have agreed a £3million fee to get Keane for a long term period and this deal will finalize very soon. Although Keane is a very skillful individual but for Van Gaal Phil Jones, Chris Smalling Tylr Blackett and Paddy McNair are more important and leaves no chance for another defender in the likes of Keane. According to reports many club have shown interest in Keane but as he is already on loan at Burnley, his roots are already tied at Turf Moor and therefore any offers from any club would not be useful.